Vegetables and more vegetables. Strong spices, and often a kick of heat. Rice and noodles. Seafood, in island nations and along the coasts of the main land mass. Tofu and other soy products. 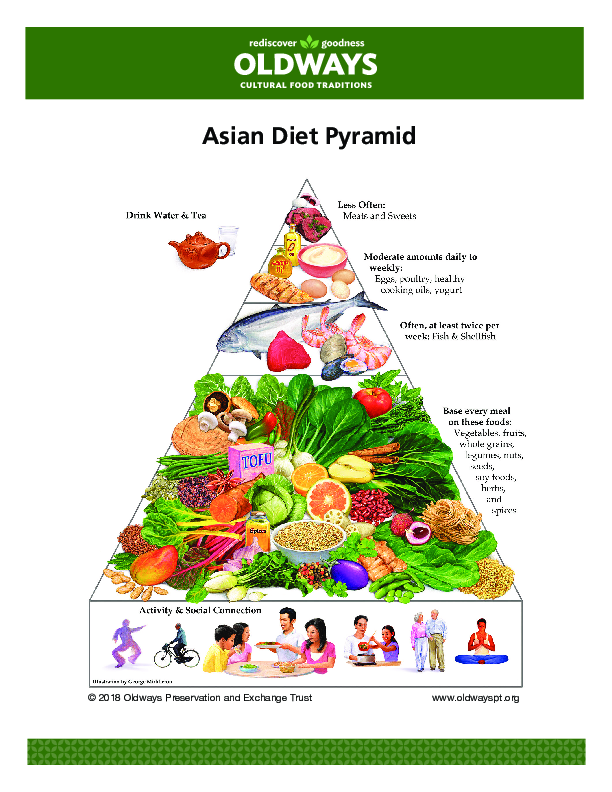 All of these are common in traditional Asian Diets. 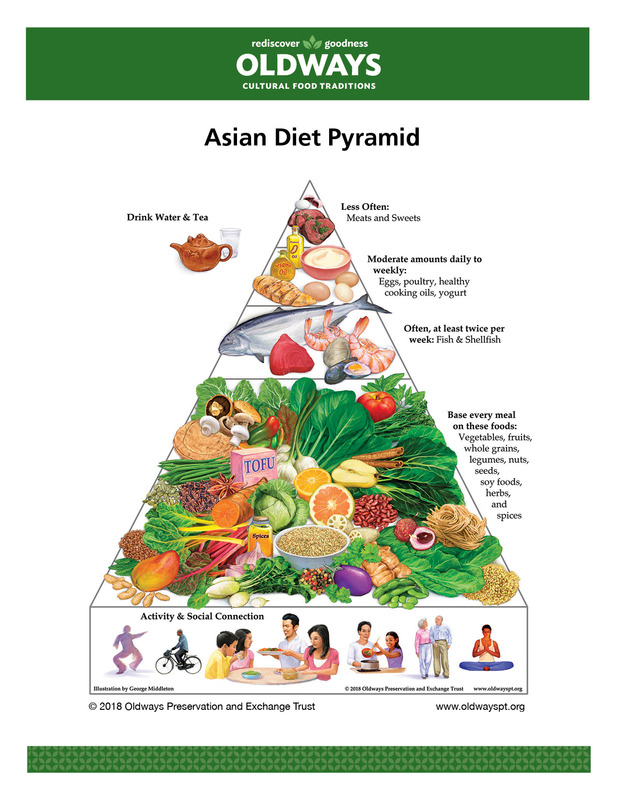 With a geographical base including countries as diverse as Bangladesh, Cambodia, China, India, Indonesian, Japan, Laos, Malaysia, Mongolia, Myanmar, Nepal, North Korea, South Korea, Philippines, Singapore, Taiwan, Thailand, and Vietnam, the traditional Asian Diet covers a lot of territory, in both a geographical and a culinary sense. Vegetarian traditions are strong in most Asian countries, with pulses and whole grains such as millet and barley, all enlivened with soy sauce, fermented ﬁsh sauce, or various spicy condiments. Despite their diﬀerences, almost all Asian countries share one food in common: rice, which is prepared and eaten somewhat diﬀerently from country to country. But as the staple food central to survival, especially during times of famine, rice has acquired an almost sacred status in Asian societies, and it is served in many ways. It is a signiﬁcant part of each meal of the day; incorporated as a main ingredient in confections such as candy and cakes; fermented to make wine (a tradition in most countries) or beer; and traditionally oﬀered to the gods to ensure a good harvest.